Yulman seats less than 23,000. Again people are going to buy season tickets when they get the sticker shock. They'll do like many others and buy it on a single game basis. The thing to be concerned with is the stadium being taken over by OU fans in much greater numbers than we have seen much lesser programs do recently. and why are we Okay with having a marquee game downtown at the Arena (N. Carolina a couple of years ago) instead of Devlin (MBB) but it's a terrible idea to move, if asked, a marquee game to the Dome in football? and why are we Okay with having a marquee game downtown to the Arena (N. Carolina a couple of years ago) instead of Devlin (MBB) but it's a terrible idea to move, if asked, a marquee game to the Dome in football? someone help me understand the logic here? Good hypothetical. I would first get on the phone to find out what other "name" program we could find to replace OU. Off the top of my head, independent BYU would probably play a one-for-one, maybe even Boise St.. Depending on what we find out, I'd take the money and run, no questions asked. If it's only Jimmy-and-Leroy St. U. (N. Texas, USA, etc.) that we could get as a replacement, then I'd have to think about it. I still would be worried about the precedent it would send if we said yes to OU. That there isn't any room to expand beyond 3K extra seats is laughable and is totally out-of-school. Show me the deal we made with the city that says we cannot increase seating on the west side--forever. One thing is sure: without sellouts, we will not expand Yulman. Without an expanded Yulman, kiss the P5 goodbye. Let's start out with Step 2: do all we can to sellout Yulman and to sell season tix. That to me is Job 1. BYU and Boise don't begin to compare to OU. No one said it can only be expanded by 3,000. You could get 3,000 on the west side likely that number in the north end zone with an upper deck and if you added a third deck to the east side maybe another 3,000. so it would still seat less than 35,000.
here's my dream/expectation: that WF continues to guide the Program on an upward trajectory and that by the time the OK game rolls around we'll be the ones clamoring to move the game to the Dome because there is no way in Heck that Yulman will accommodate our fans as well as the fans OK will bring to the game. Ideally we wouldn't do that. In my mind I'd much rather us play marquee opponents in a raucous Devlin. But of course that would require a good team that is actually competitive and has a strong local following. And it's not the end of the world if we did end up playing a big name team in the dome, but there are real reasons to not want to move games out of our normal home venues. BS. You telling me a second deck only seats 3,000? Riiiight. That footprint could support added upper decks west and end zones to 40K, easy. We just don't fill the d@mned thing up, so no need talking about it. No, BSU and BYU aren't OU, didn't say they were. But, depending on the OU buy-out money and their draw from us (I would be there, so would much of our base), it would be a better economic deal for Tulane than OU at the Dome. Believe it or not, BSU travels VERY well. BYU not so much, but we might be able to get some added TV money. If Ole Miss or Ms State come to us with GB's ultimatum, we tell them to take a hike. 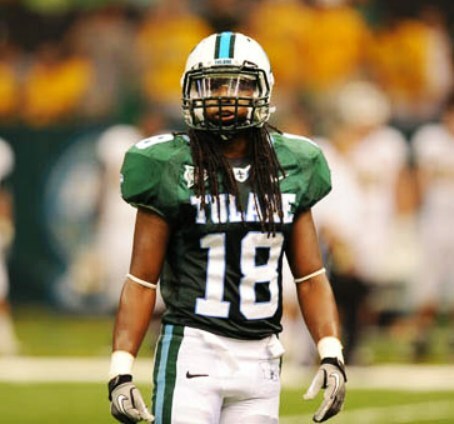 For all we know Tulane took a big loss on that game but that’s apples to oranges. I would have rathered that game at Devlin. I said it before, during and after. Having a BBall game at the arena was a recruiting tool just so we could bring recruits there as an official game site. It also was to attract more locals. Having a football game at the Dome is solely to please the opponent. That's what I have been trying to get across. Last edited by wavedom on Wed Jan 30, 2019 5:52 pm, edited 1 time in total. Not BS at all. You are clearly not familiar with the stadium or the footprint. That east side deck seats around 3,000. That's it. I get that upsets your world but that's not my problem. There is no way to add on the south end because as I said it abuts Reilly and they aren't tearing that down. So starting from 22,000 seats you are way short of 40,00 seats. Unless your Rick Dickson of course. If we are good at that point it will also be done to accommodate and please our fans. The Saints averaged 73,051 per home game this year for 100.1 percent capacity. My BS point is that the space will hold 40K fans. I'm not an architect (and my guess is that you are not either), but by putting tiers over the remaining part of the stadium - the 16,326 part - you could then make it two decks around and be in the 39K range, before SRO on the party decks. That's where we want to get to. And before you rebut that you cannot put anything in front of the Reilly Center, you bet we would if we wanted to. It's a question of want, not how. In reality, if any expansion were to occur, it would be done in phases, just like everywhere else. But no expansion will occur unless we start selling out the place. Which won't happen if every time we bring in a "legit" opponent, we'll have to go to the Dome to play them. To be perfectly honest, we haven't played an Oklahoma at home, so we don't have to worry about this issue very often--Texas is the only game I can think of in the last 20 years (and those b@st@rds from BR won't play us anymore). So we're talking about a problem that rarely crops up. Play the games in Yulman and fill the d@mn thing up. Frankly, I wish the folks in the Glazer Club would sit in their seats for the games, but if they don't, figure a way to "resell" those tix to people who WILL sit in them. I know it's just optics, but it looks terrible on TV. Or we could build a Florida sun porch over and around the Glazer outdoor seats and pipe in air conditioning, so all the folks there won’t get the vapors. It could look the reviewing stands for a presidential inauguration parade. It won't hold 40,000. I'm not talking about putting something in front of Reilly. The south end zone abuts the back of Reilly. There is literally no space there to add on. Adding a 3,000 seat deck on the west side and another on the east side along with 3,000 more over the north end zone puts you at around 33,000 when you include the two party decks which hold 250 people each. The point of putting the upcoming big games in the Dome is that it would show the need for expansion. Tulane could literally see how many actual butts in seats they can get. And again the only reason to put them there is if our program continues to progress to the point of being in regular position to win the AAC. If we are just winning 6 or 7 or 8 games or goodness forbid having losing seasons there'll be no need to move games or expand. I'll add that if the program is good it won't take playing big games to fill it up. The stadium is the size it needs to be for now. When sellouts are a normal thing, then we have the ability to add at least another 20,000 seats. Perhaps it would be done in phases adding 10,000 or so to start and wait for the demand to go up before expanding again. I never mentioned the garden out front. Seeing as my post was the most reasonable of the thread, Rick Dickson is the last name that comes to mind!